Featured in Malay Mail today. Click on the pic for the enlarged and readable version. 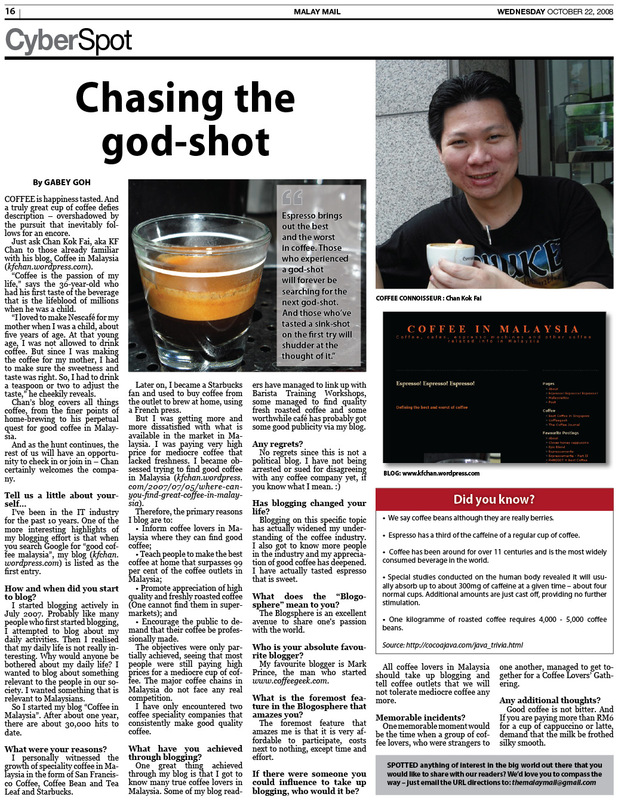 This entry was posted in Barista, Cafe, Cappuccino, Coffee, Coffee Beans, espresso, Malaysia and tagged Cyberspot, Malay Mail on October 22, 2008 by KF Chan.